Lexovisaurus was a dinosaur that had a medium size with enough plates on the body. They were found sometime during Middle to Late Jurassic era. They were named Osmosaurus in the beginning. But later on they were again renamed as Lexovisaurus. The name Lexovisaurus means Lexovian lizard. This again comes from the Celtic culture. Their fossils show them to be a member of the stegosaur family. These were group of herbivorous dinosaurs. They were primarily found in the Northern Hemisphere. Their fossils were found all across China, England and North America. Not much is known about them. The remains of this species were found in England and France. In the year 1957, Robert Hoffsetter named them Lexovisaurus. They were named after a tribe which used to inhabit the same place. This tribe was called the Gallic tribe. These Lexovisaurus dinosaurs had spikes on their hips and shoulders. As their skin decayed like in any other fossil, it becomes really a difficult job for all the researchers to determine such details. These spikes used to protrude from their shoulders. These plates were flat and had spines which were round and pointed which ran along their tail. They had a long back. In addition to this they had a very long tail. These spikes could have been used as a temperature regulator as well. Not to mention that these plates were used a protection against predators and enemies. The height of a Lexovisaurus was measured around 5 meters or 17 feet in length. Their weight is estimated to have been ranging between 4000 to 4500 pounds. They were also a species of herbivorous reptiles. They were quadruped animals. Their hind limbs were stronger than their fore limbs. This made their movement smooth. Lexovisaurus were herbivores; they preferred to stay in forests. Like any other reptile reproduced by laying eggs they used to hide away their eggs to protect from any kind of an external threat. Lexovisaurus may were medium in size and they surely were meek creatures. These were among the earliest bunch of dinosaurs to be found. They lived billion years ago. But their traces are still found. Research is still going on to get some more information everyday on these dinosaurs. 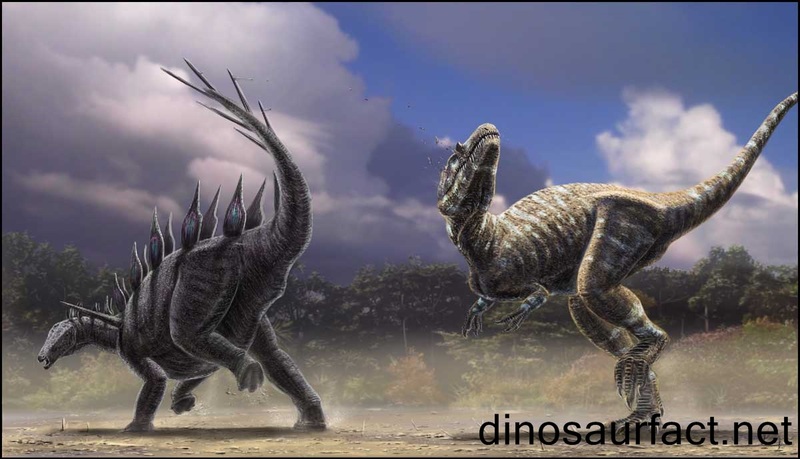 The specialty of the particular dinosaur that has isolated them from their other counterparts is that it had hard shoulder spike that protruded from the blades of their shoulder. The spikes attached to the skin are really amazing that the spikes were not attached to the skeleton. This wonderful mechanism of their body made the scientists at a bay. 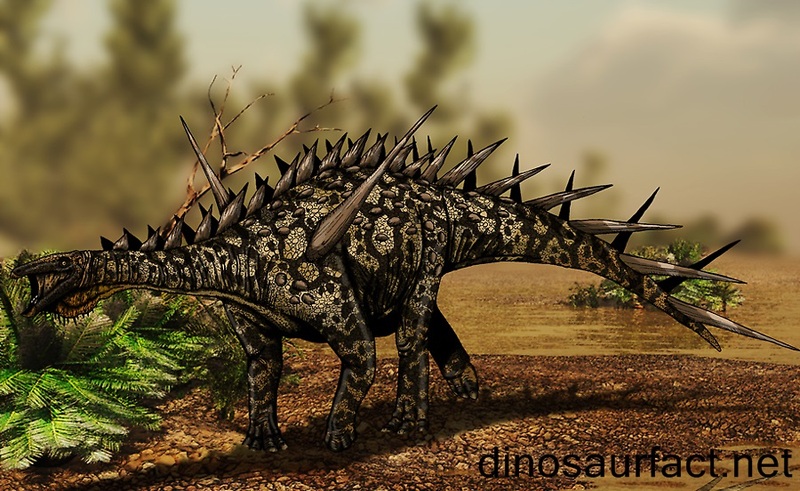 Hence when a fossil of Lexovisaurus is found there is no trace of spikes on the body of the dinosaur as the skin of the Lexovisaurus did not escape natural decay. The wide pasture of the Lexovisaurus was the wide tracts of France and England . The fossils that are claimed to be those of the dinosaurs were found in these two areas. They are preserved well in the Museums of these two countries to tell us many things about the almost unknown species shrouded in mystery.